When did it happen? Was it during the night, or on that particularly heavy weekend in the South of France? Perhaps it was when you drove half way down the country only to realise you’d forgotten your mobile phone / the dog / one of the children? 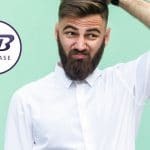 When did the bouncers in clubs stop asking for ID and the woman in your local supermarket barely glance your way as she swiped her card at the self serve checkouts which flashed to ‘check your age’? It happens in a flash. Suddenly (and sadly), you aren’t getting carded anymore, and you find yourself obsessing over the tiniest crease. You feel wounded—and in reality, you are. Fine lines and wrinkles are a naturally (and inevitable part of growing up and unfortunately, getting older). 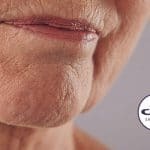 Wrinkles show up first around the eyes because we use those muscles for expression and the skin is thinner there, then they might start showing up around our mouths, foreheads and eventually spread to the wider cheeks and neck area. It’s easy to say, but it’s UV exposure that is particularly damaging (the wrinkles best friend so to speak) so in hindsight, which is the most useless thing, the best way to treat a wrinkle is by preventing it in the first place. So everyone should use sunscreen. Thanks for telling us earlier, we hear you cry as you squint and frown at yourself in the mirror before suddenly realising this might be just the expression that helped get you into this state in the first place. Tell me what to do, give me some options – make my fine lines, wrinkles and crows feet disappear! Next up, treat your skin to a proper polish. Fine lines, wrinkles and crows feet all come from a loss of collagen and elastin. With ageing skin, collagen production slows, and elastin, the substance that enables skin to snap back into place, has a bit less spring. Dead skin cells do not shed as quickly and turnover of new skin cells may decrease slightly. The vacuum of the anti-wrinkle microdermabrasion facial works to stimulate the production of collagen in the facial lines of the skin. As we age elastin and collagen production starts to slow down. 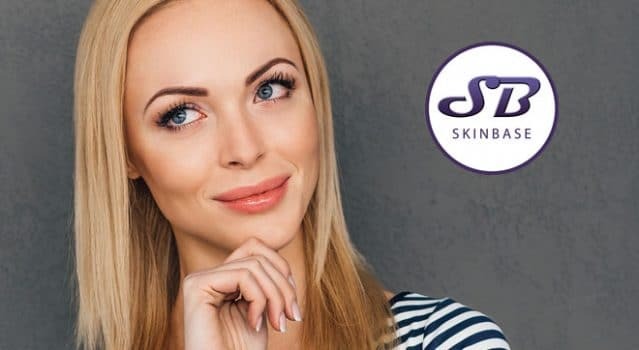 The combination of collagen stimulation and increased skin renewal will improve the condition of the skin’s surface smoothing out fine lines and deep forehead wrinkles – a proven anti-wrinkle skin care treatment. Once the outer layer of skin has been removed, the layers of skin beneath increase their production of new skin cells to renew the surface layer. It is a mild treatment causing minimal damage to the surface of the skin and therefore results are subtle and include a freshening in the appearance and improvement in the texture of the skin, and a reduction in the appearance of fine lines or wrinkles. Hey presto! 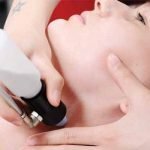 Why microdermabrasion as an Anti Wrinkle Treatment for Fine Lines? Book in now and see how you get on with a course of microdermabrasion treatments.